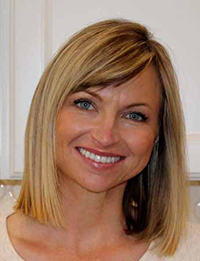 Bridgit Wilson, is an interior designer in Spokane, WA. Originally from the Midwest she earned a B.S. from Purdue University in 1997. Finally succumbing to her long dormant artistic side, she left the science world and returned to school 10 years ago to pursue a career in interior design at Spokane Falls Community College. She holds Associates degrees in both residential and commercial design. Nook Interiors is a full service interior design firm located in Spokane, WA. Nook prides itself on listening to clients’ needs and creating spaces that combine style, comfort, and functionality. Nook can solve any design dilemma. From picking out paint colors to designing custom furniture pieces, window treatments, re-upholstery, and remodels.